Lamborghini is close to revealing a dramatically styled and luxuriously equipped SUV/crossover concept. The Italian supercar brand is set to unveil a teaser for the SUV at the Beijing auto show. The teaser will gauge public response to a successor to the LM002. "I can't comment in detail but the speculation in the press is largely correct," a manager at Lamborghini parent Audi told AutoWeek, a sister publication to Automotive News Europe. The new SUV/crossover would extend the current Lamborghini lineup to three models, joining the successor to the Gallardo and the recently introduced Aventador. A fourth model -- a low-slung four-door sedan previewed by the well-received Estoque concept first unveiled at the 2008 Paris motor show -- is also under consideration. 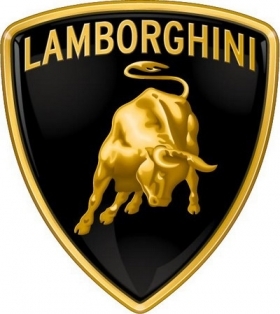 If the SUV is built, Lamborghini expects it would have annual sales of less than 1,500 units. The model would be a more upscale rival to the Maserati Kubang, the BMW X6 and a similar four-door coupelike off-roader confirmed by Mercedes-Benz. Key markets for the new performance-orientated, four-wheel drive model are expected to be the United States and China. The expectation is that a four-seater will go on sale with a detuned version of the Gallardo's 5.2-liter V-10, developing about 580 hp. Also envisaged is a hybrid version with four-wheel drive. It is said to combine the standard V-10 with a 107-hp (80-kilowatt) electric motor and a lithium-ion battery pack, providing a system combined output of somewhere near 660 hp. The SUV is expected to share its underpinnings with the next-generation Audi Q7, which is also set to provide the platform for a new Bentley off-roader. As with the current Q7, Porsche Cayenne and VW Touareg, the Lamborghini SUV is expected to be partly produced at the Volkswagen Group's factory in Bratislava, Slovakia, with final assembly taking place at Lamborghini's Sant'Agata factory.